Itching to get your hands on Motorola’s Xyboard? The Wi-Fi-only version is now available for pre-orders for those in the US. An 8.2 inch model costs $400 and $500 for the 16GB and 32GB versions, respectively. The 10.1 version will set you back $500 and $600 for the 16GB and 32GB versions. The prices on all models are around $200 less than what Verizon will be charging if you will get the LTE version. Getting the Wi-fi only version also means you don’t get that Droid branding found on Verizon’s units. Xyboard comes with an IPS display at 1280×800, 5MP rear camera with LED flash, 1.3 MP front-facing camera and powered by a 1.2 GHz dual-core processor. 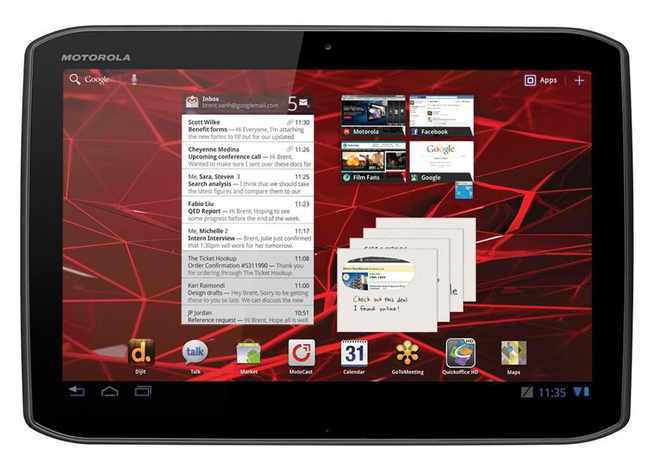 The tablet runs on Android 3.2 and may be upgraded to Ice Cream Sandwich once available.